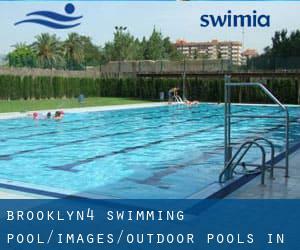 These are the Outdoor Pools in Brooklyn (New York) (New York) other users have reported. Are you a local and your pool is not listed? Contact us to ADD IT. It's cost-free! We currently have the following Outdoor Pools in Brooklyn (New York) (New York), but we are always grateful for any corrections or contributions. Get in touch via our get in touch with form. Looking for Outdoor Pools in Brooklyn (New York) (New York)? A lot of of them belong to gyms or sport centers which also offer you lessons. The finest pools to swim are certainly indoor olympic pools. If you are visiting Brooklyn be sure you know the rules and regulation for swimming as they may not be precisely the same as in your home town. Please, use the get in touch with info supplied at every pool profile. 975 Anderson Hill Rd. , Rye Brook , NY , USA (Postal Code: 10573). Among all of the activities offered by the center, if you are interested in swimming you may get pleasure from 20 yards, Indoor/Outdoor. Just in case you want to make contact with this Swimming Pool before dropping by, we only know the phone number. Hommocks Middle School , Hommocks and Boston Post Roads (U.S. 1 and N.Y. 125) , Larchmont , NY , USA (Postal Code: 10538). Among all of the activities provided by the center, when you are keen on swimming you may get pleasure from 25 yards, 8 lanes, Indoor/Outdoor. If you must contact this Swimming Pool, e-mail address and phone number are both number.